How to enable USB sharing on D-Link DIR-882 AC2600 EXO MU-MIMO Wi-Fi Router? IMPORTANT: D-Link does not guarantee the compatibility of all USB storage devices. Step 1: Open your web browser and type in http://dlinkrouter.local. or type in the IP address of the router (default – http://192.168.0.1). Step 2: Enter or select the username (admin) and enter your password (blank by default), and then click OK or Log In. The password is case-sensitive. If you forgot your password, you will need to reset the router back to the factory default settings. Unfortunately this will remove any settings you have and you will need to reconfigure your router. To reset your router, use a paper clip and press & hold the reset button (usually located on the back of the router) for 10 seconds and release. Allow 1 minute to reboot. The default IP address of the router will be 192.168.0.1and the password is blank. 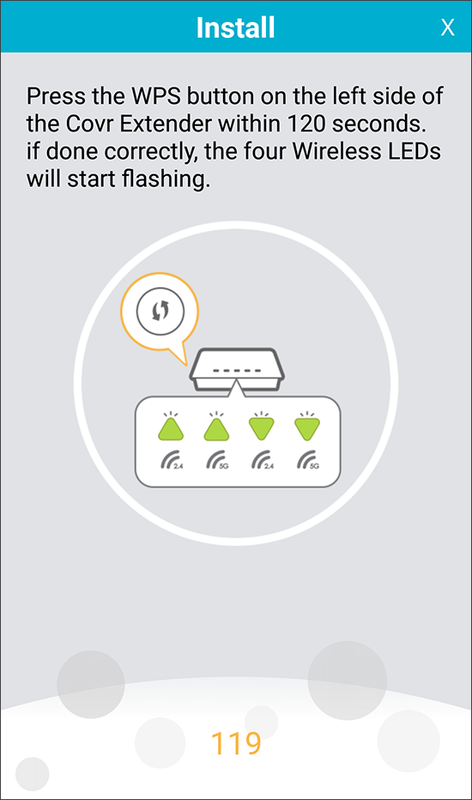 If you are connecting wirelessly, you will need to reconnect your device to the default wireless network after the router reboots. 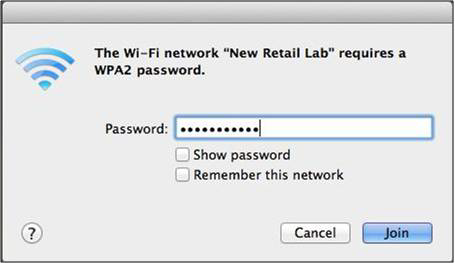 The default Wi-Fi network/password may be printed on the label on the bottom of the router or on the included Wi-Fi Configuration Card (newer models). To reconfigure, refer to the Quick Install Guide included with your router or download the PDF (click Close and then click Downloads). Step 3: Click on Settings and then USB Sharing. Step 4: Enable Windows File Sharing (SAMBA), then click Save. Windows 8, Windows 7,Vista and XP can provide updates and drivers to currently installed or new adapters using Windows Update. As soon as the device is plugged in or recently installed, Windows will attempt to connect to the Internet and download the drivers automatically. Use the following steps to let Windows do the installation for you. 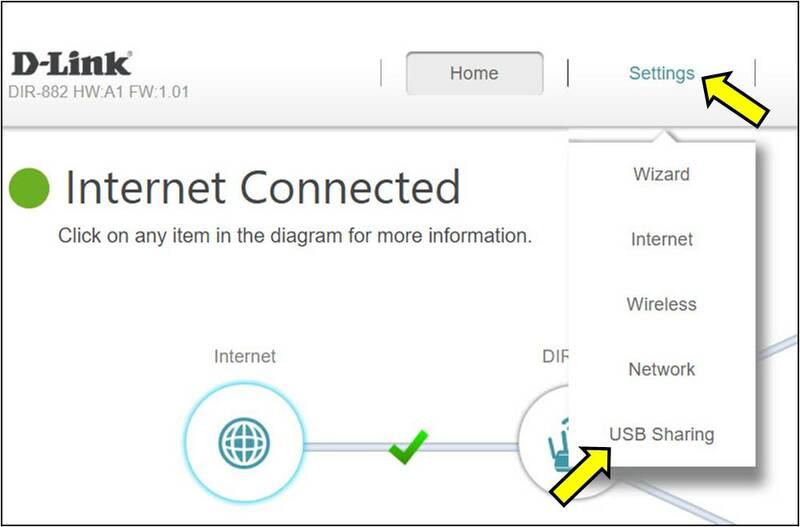 Step 1: Use an Ethernet cable and plug your computer directly to your D-Link router. Make sure Internet is accessible. Step 2: Place your new adapter in the proper slot or port. Step 3: With your computer running, a bubble message will appear stating that this device was not installed successfully. Left click on the message. 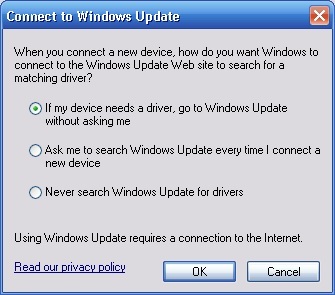 Step 5: Chose to allow Windows to update your driver when it is not found on you computer. Step 6: Once the driver installs successfully, close the window. 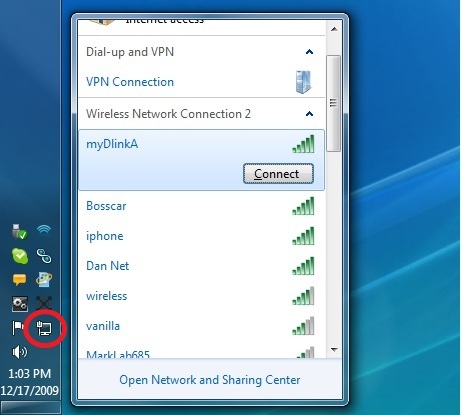 Step 7: Click/Right Click on the Network Icon located on the system tray to View the Available Wireless Networks. Find your personal Network and double click to connect. It should request for a wireless key, which by now should have been set up. At this point, there should be a connection to your Network. 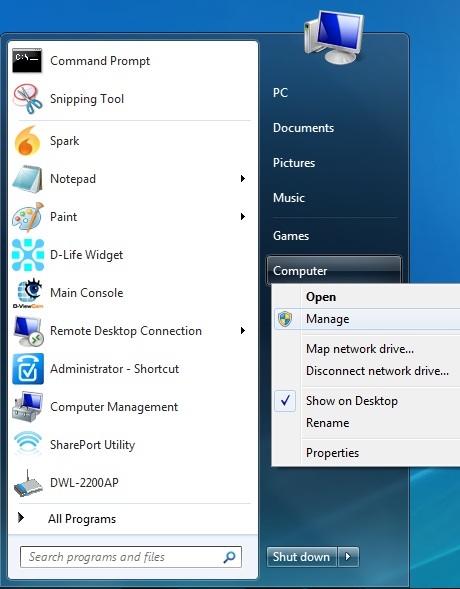 Step 1: In the Start menu, right-click on Computer to select Manage. Step 2: On the left, select Device Manager to bring it up on the right. Note: If the Driver software has not installed correctly, the partially installed D-Link adapter will come up in the Other devices group. Just as it is shown in the previous image. 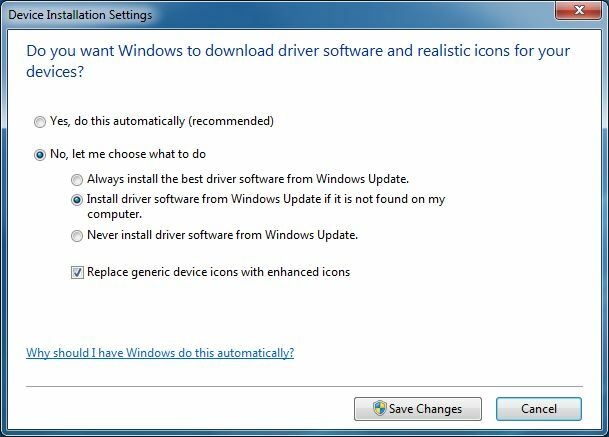 Step 3: Right click on the unknown adapter to Update Driver Software.. 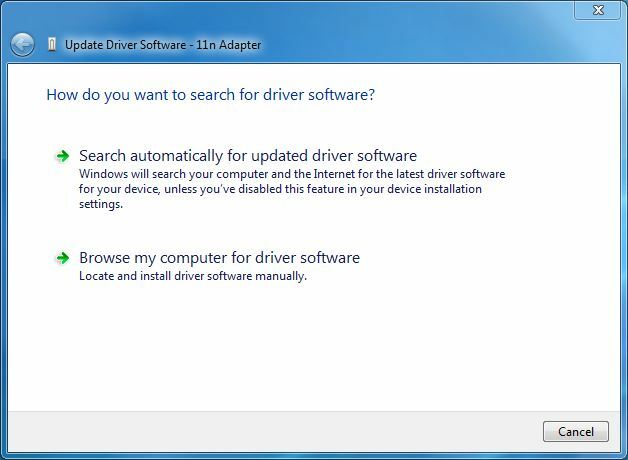 Step 4: Click to Search automatically for updated driver software. Note: If Windows was unable to install your Adapter, Windows may not be set to install automatically. Step 6: Click on Save Settings or OK to apply the change. 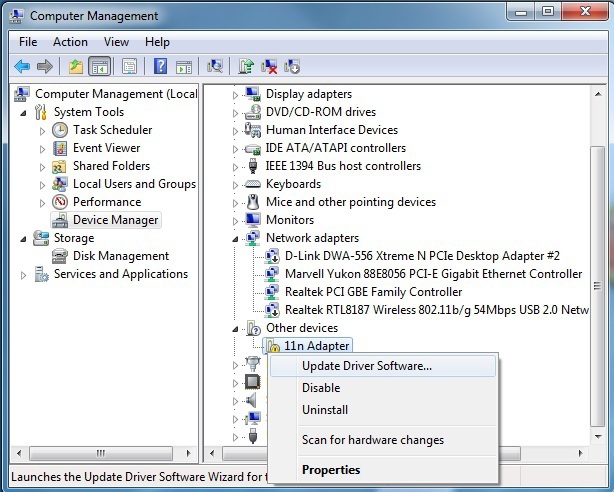 Confirmation of a successful Driver installation is achieved when the model of your adapter is label and listed in the Network adapters group of the Device Manager. 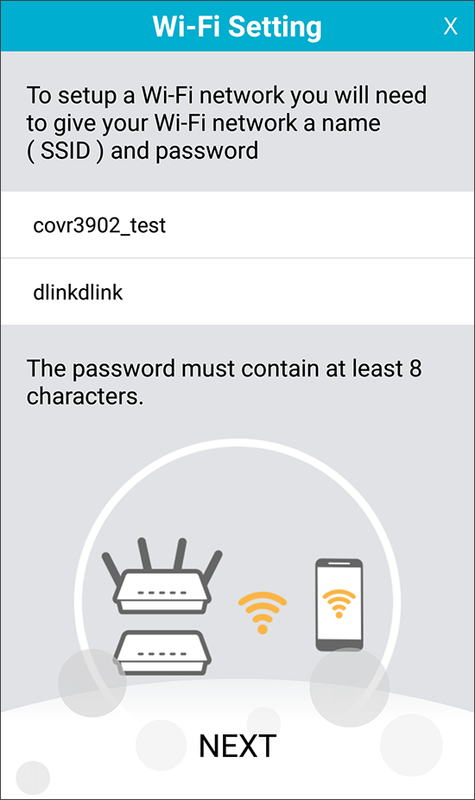 How do I set up my COVR devices with the D-Link Wi-Fi app? 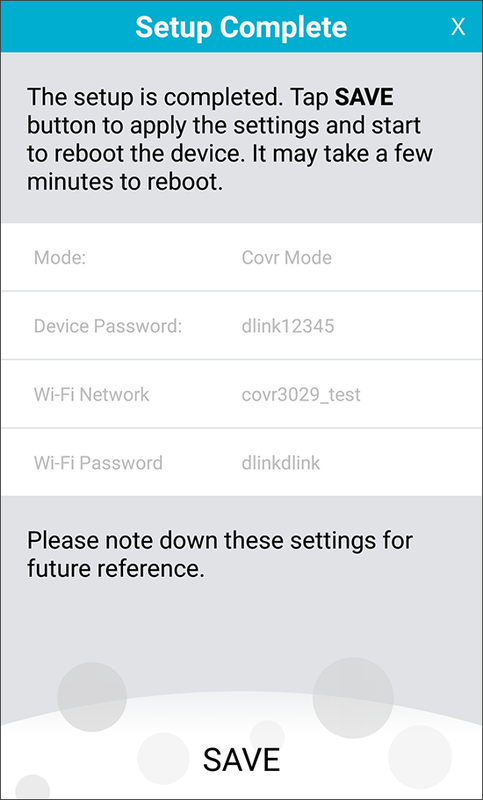 Follow the steps below to set up the COVR-3902 system using the D-Link Wi-Fi app. Step 1: Download the D-Link Wi-Fi app from the App Store or Google Play. Download and install (do not launch app yet). Step 2: Plug in only the COVR router and allow about one minute to bootup. Once the power LED is green, it is ready. Do not plug the extender in yet. Step 3: Connect your device using Wi-Fi to the router. The router”s Wi-Fi network (SSID) and password are located on the bottom of the router or on the Wi-Fi Configuration card included. Once connected to the router, launch the Wi-Fi app. Step 4: The first time you launch the app, the Device Connection screen will appear. Tap Next to continue. Step 5: The Select Device screen will display the COVR-2600R (router) MAC address information. Tap Next to continue. If you do not see this, make sure your device is connected to the router via Wi-Fi. If you are connected to another Wi-Fi network or using 3g/4g, it will not work. Step 6: Plug in the extender near the router and power on. Tap Next to continue. The router will now search for the extender and connect. This process can take up to two minutes. 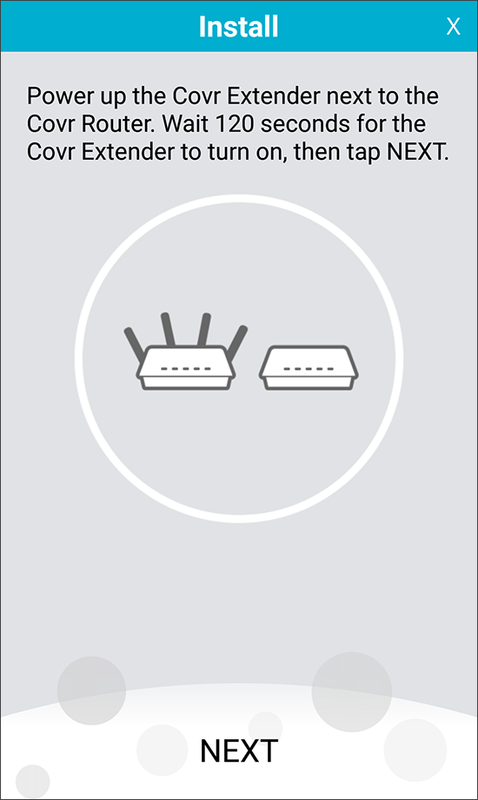 If you cannot connect to the extender, make sure the extender is powered on and in the same room as the router. If the power LED and the two LEDs on the right are green (the other two are off), you will need to reset the extender by pressing the reset button located on the back of the extender for 10 seconds with a paperclip. 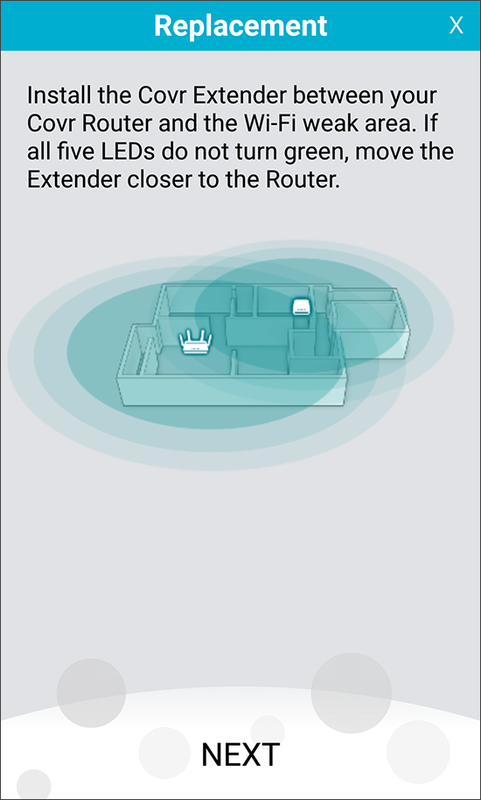 You can also tap Next and connect the extender to the router by pressing the WPS button on the extender, or tap Skip and connect later. If you tapped Next, within two minutes press the WPS button on the side of the extender. Allow 2-3 minutes to connect. Step 7: When the extender is finished installing, tap Next to continue. 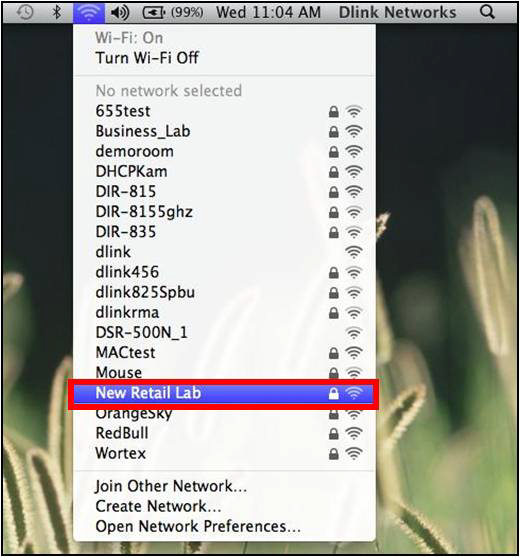 Step 8: Enter a Wi-Fi network name (SSID) and a Wi-Fi password. Tap Next to continue. Note this Wi-Fi name and password will be assigned to both the 2.4GHz and 5GHz bands on both the router and extender. 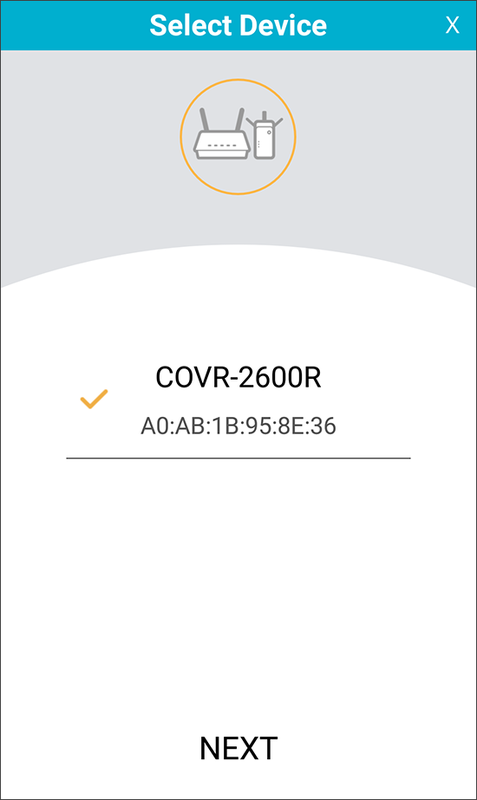 Step 9: Enter a password for the COVR system. This password is used to configure the router and the extender via Wi-Fi app and the web UI. 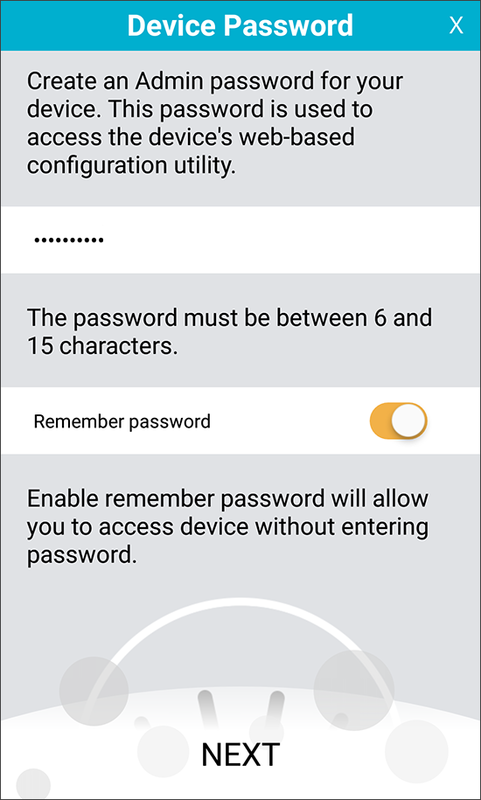 If you want the app to remember this password, tap Remember Password to enable. Tap Next to continue. 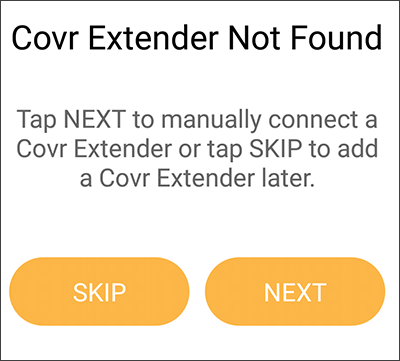 Step 10: Tap Save to finish setting up the COVR-3029 system. Step 11: Tap Next to continue. Step 12: If you want to share your device settings (Wi-Fi network name and password), tap Share, or tap No to continue. If you tapped Share, you will can select who and how you want to send this information to (e.g. Twitter, text message, etc). Step 13: Congratulations your router and extender are configured. Tap Finish. 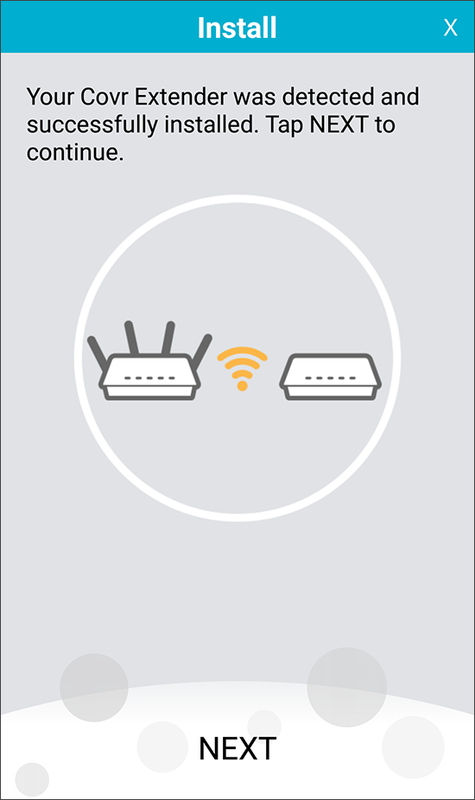 Once the router boots back up, you will need to connect your device to the new Wi-Fi network you just created. Also, you can unplug the extender and place in a location between your router and any dead zones. When you plug the extender in, allow up to two minutes to boot. The LEDs will indicate your connection quality to the router. Green means it is a good connection, orange means a fair connection, and red means a poor connection. If orange or red, move the extender closer to the router. How do I connect wireless using Mac OS on D-Link DIR Router? Step 3: If the Wireless Network is password protected, you will be prompted to enter a password. Enter the appropriate password and click Join.